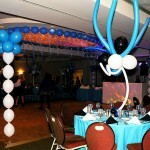 The picture is taken in the middle of decoration work, the room is almost empty yet... 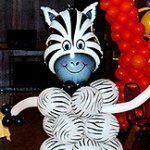 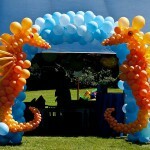 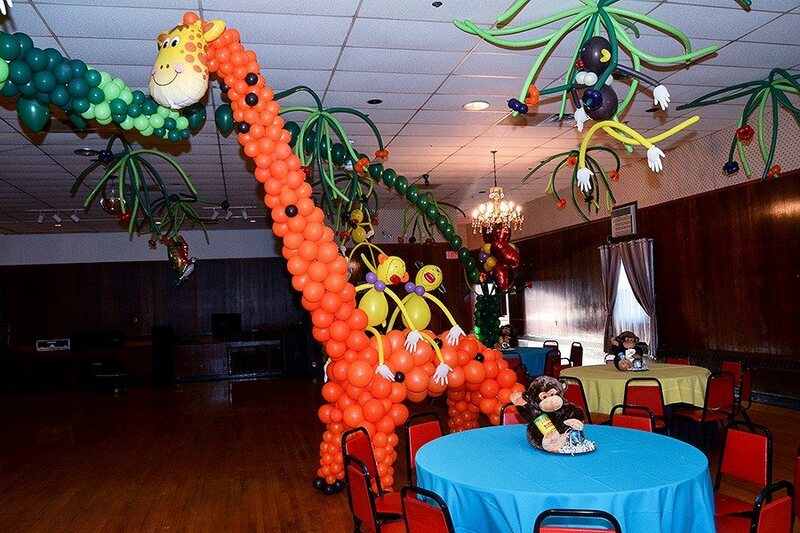 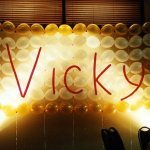 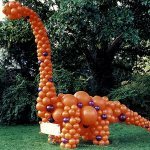 The balloon sculpture of giraffe - is the best centerpiece for the jungle party: can be as tall as any ceiling, smiles and give rides to monkeys! 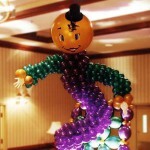 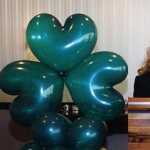 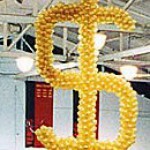 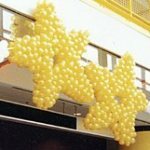 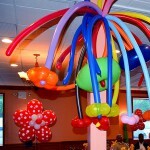 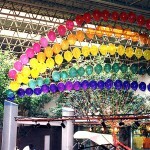 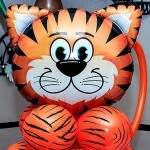 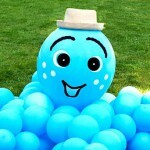 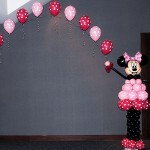 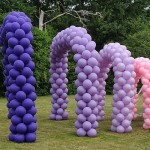 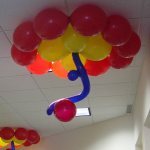 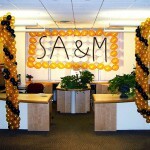 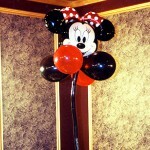 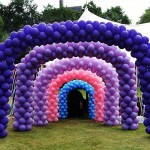 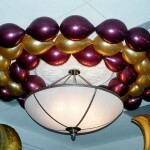 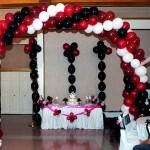 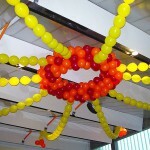 This particular balloon sculpture is relatively small, 13' high, the first one, made in Science Center was 25'. 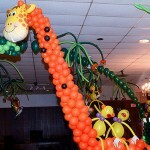 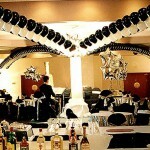 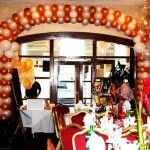 Jungle theme is probably the most developed decorational theme for the kids parties.